Home / Stock Picks / Hot Stocks / Do These Widespread Outages Mean Anything for Facebook Stock? Between 2008 and 2018, social media giant Facebook (NASDAQ:FB) went without any major outages that caused an extended negative impact. Sure, there were a few multi-hour outages here and there. However, the company incurred nothing of huge scale that spread across their whole ecosystem. The last significant incident occurred in 2008, when Facebook went down for about a day. In 2019, though, this pattern has changed. In the past two months alone, Facebook’s entire ecosystem has gone down twice. The first outage in March was huge. It knocked down Facebook, Instagram and WhatsApp for roughly a day. The second outage in April was less dramatic but still took down the network for a few hours. Yet, since the first big outage in early March, Facebook stock is up roughly 6%. Clearly, investors don’t seem to care. Should they? I don’t think so. It’s strange that FB stock is going down more frequently now than it has in the past. However, Facebook is also taking more action on the back-end of its platform. This includes doubling down on things like data security and bad actor/content vetting. All these new initiatives create more complications for Facebook’s servers, likely prompting multiple server-configuration changes. As such, it’s not all that surprising to see the site crash more often now due to servers adjusting to the new infrastructure. From this perspective, the continued rally in Facebook stock despite these widespread outages makes sense. Ultimately, temporary outages won’t stop shares from hitting $200 in 2019. What we’ve seen over the past several quarters with FB stock is that numbers speak infinitely louder than words. Multiple data privacy scandals hit Facebook stock hard, which Wall Street feared would cause users and advertisers to flee. Obviously, such an exodus would kill revenue and profit growth. That didn’t happen. Instead, Facebook proved that its properties are among the stickiest in the world. Users didn’t ditch. Advertisers didn’t flinch. Revenue growth didn’t slow meaningfully. Profit growth remained positive. In other words, despite calls for the Facebook apocalypse, last year’s data privacy scandals hardly affected the company’s numbers. The only lasting financial impact? Management must spend more on data security and bad actor/content vetting, driving opex rates up and margins down. But continued revenue scale will offset those investment costs and will ultimately just blend into the background. Recent widespread outages fit into the same bucket as data privacy scandals; that is, a bucket that ultimately doesn’t matter. Outages give consumers fits. They don’t like them. They constantly check back hoping that it’s fixed. Every time they do that, and it’s not fixed, they get more upset. But, as soon as the platform goes live again, everyone forgets about the outage, and daily usage across the board returns to normal. Meanwhile, advertisers might be comped for the “missed ad time” during the outage. However, that’s small potatoes. In other words, nothing about the recent outages imply a negative impact on Facebook’s numbers. Because of that, it’s largely much ado about nothing for Facebook stock, which has developed a recent obsession with ignoring the optics and focusing on the numbers. The bull thesis on Facebook stock is simple. The numbers will continue to improve for Facebook in 2019 as multiple growth initiatives gain momentum, and this improvement will drive FB stock back toward $200. This breaks down into three things: e-commerce, Stories ads and margin ramp. On the e-commerce front, Facebook is pushing forward on a new growth vertical to sustain 20%-plus revenue growth for the foreseeable future as its digital ad business continues to cool with scale. The biggest part of the new e-commerce growth vertical? Instagram Checkout, which launches this year and enables consumers to buy or sell directly on the Instagram app. Robust growth from Checkout in 2019 will provide a healthy tailwind for overall revenues. Meanwhile, a big culprit behind the 2018 revenue growth slowdown at Facebook was a massive pivot from News Feed ads to Stories ads. This had a negative impact on ad revenue, since tried-and-true News Feed ads command a high price point while the still-largely untested Stories ads do not. But we are now several quarters into the Stories ad pivot. Moreover, Facebook appears to be firing on all cylinders with Stories ads. As such, it’s likely that Stories ad price points have come up in 2019. This boost should provide an additional healthy tailwind for revenue growth. Lastly, heavier data-privacy investments killed margins last year. But management implied that the bulk of this investment is already in the rear-view mirror. Further, spend rates should moderate in 2019. If so, they will moderate against what should be renewed revenue momentum. That combination of reduced spend and renewed top-line momentum should drive robust profit growth in 2019. Overall, FB looks positioned to keep rallying in 2019 because the numbers are set to get a lot better. Widespread outages won’t kill this rally in FB stock. Broadly speaking, outages belong in the bucket of things that ultimately don’t impact the numbers. Thus, the numbers here project to keep improving. So long as they do, Facebook’s shares will stay in rally mode. As of this writing, Luke Lango was long FB. 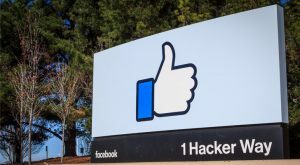 Article printed from InvestorPlace Media, https://investorplace.com/2019/04/do-widespread-outages-mean-anything-for-facebook-stock/.